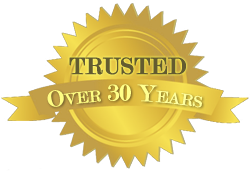 With over 30 years of experience, we know what we're doing and we're good at it. We are passionate about our work and it shows with each and every project. We deliver the highest quality of workmanship with all our projects, whether big or small. 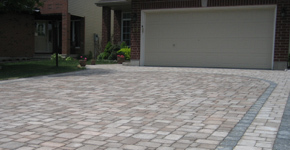 From design, to laying the last stone, Classic Interlock is second to none. We take pride in our high-level of service. At Classic Interlock we listen to our clients needs and always follow through. It's no surprise that much of our business comes from referrals. We're confident in our quality of work and the products we use. We stand behind our work, which is why all installations done by Classic Interlock are backed by our 2-year warranty. 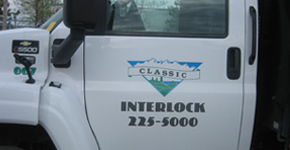 Classic Interlock is a family owned and operated company serving the national capital region for over 30 years. 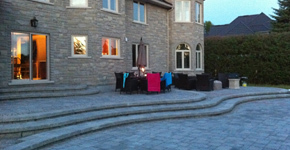 Specializing in residential interlock and landscape designs, our level of service and expertise is second to none. Over the years we have attained our expertise and perfected our techniques, enabling us to provide the utmost level of satisfaction in all the work we do. Our custom designs are tailored just for you! We will design your landscape project to fit your needs, preferences and budget. Our goal is to have our customers "All Smiles" when our job is complete. © Copyright 2015 Classic Interlock. All Rights Reserved.